Are you not able to draw the attention of enough customers to your website in spite of acquiring a great product? Well, it happens if businesses do not follow protocols that help increase the traffic to their websites. Here’s a blog which will explore some of the impressive tips following which you will find the considerable amount of improvement in the number of users visiting your website. 2016 is looking forward to apply a strategic approach when it comes to increasing website traffic for the business. Yes! Endeavor to combine the use of different online marketing techniques including content marketing, email marketing, and social media marketing among others. This will definitely help you drive traffic to your website. Remember, people are looking for the content that goes in line with their thoughts and requirements. It should be expressed in such an interesting way that influences audience to go for your product, service, or brand. Moreover, use social media and ask questions that tend to engage people to visit your website. Make sure to include an engrossing advertising content that makes users click on it to proceed further. Are you aware of the keywords that your potential customers use to buy your product? No? Well, at times, the competition is too huge for a single keyword that might not allow the user to find your website. That being said, it would be better to include long tail keywords which highly specify your business’s product which would in turn result in high quality traffic. To begin with, know the requirements of the customers, try to understand their queries regarding your product, and include a content that answers all their questions efficiently. Let them know how the use of your product will provide benefit to them. Have you not started blogging yet? Oh! Begin it right now and get engaged with more and more customers. Yes! Including a blog will assist you in search engine optimization and an individual looking for a topic related to your blog might end up his search by landing on your website. Using social media in a correct way can turn out to be a great source of traffic which will lead you to a successful online business. Use social media to showcase your business success which can be done by using appropriate approach and tools. You can do so by adding the url of your website to your social media profile, using hashtags, using images or videos with your posts, or adding links to your social media profiles. Another significant tool that you just can’t ignore is SEO. SEO helps a user reach your website on google using the keywords you have targeted. Perform both on-page and off-page seo for better results and higher ranking in google. Though a business makes a full effort in coming up with the content exactly in line with their target audience, repurposing a content in different types of formats will help you increase your website traffic effectively. That being said, give your topic a shape of blog, white paper, e-book, infographic, or video and let different types of audiences reach your content in a much easier way. Enforcing inbound marketing allows your potential customers to reach to you in an efficient way. Yes! The users who are actively looking for a valuable information can land on your website, thus increasing the traffic of your website. 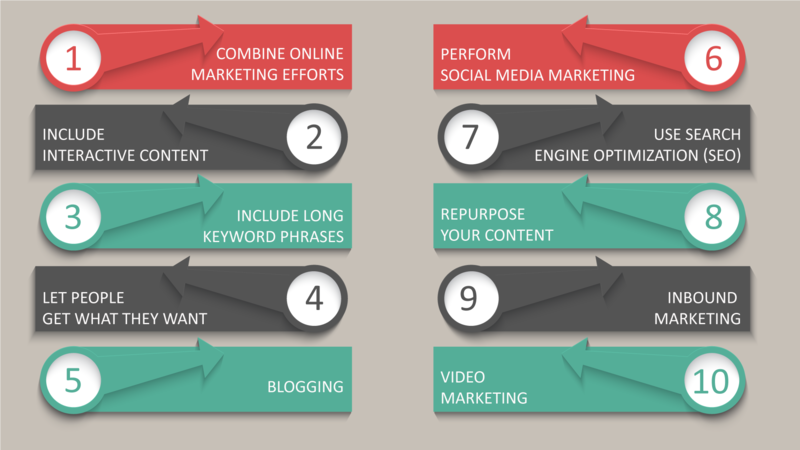 Some of the significant tactics that you must use for increasing website traffic with inbound marketing include SEO, Blogging, and social media sharing. One of the biggest sources of driving website traffic is video marketing. Make an attempt to include a video that attracts the target audience to initiate with required steps. One of the best digital marketing companies that can help you in keeping away from the website traffic issue is Mamsys. The company tends to enforce significant strategies to provide you with effective results.